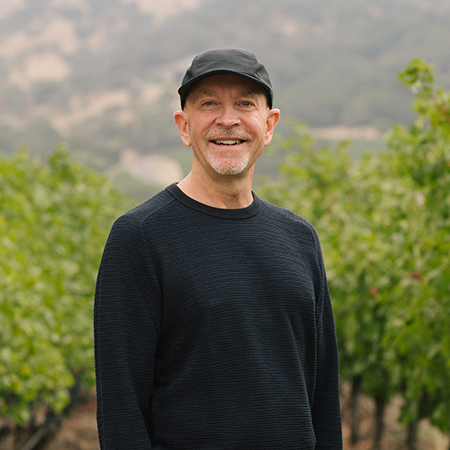 Since founding his namesake winery in 2002, Cliff Lede (pronounced lay-dee) has put every emphasis towards creating a modern and diversified world-class estate. A strategic thinker and visionary, Lede is the driving force of a company that at once holds the values of the great Old World winemaking properties, with the energy, youth and spark of the New World. His wines are intrinsically connected to the land, yet his view point is forward-thinking and entirely fresh. One visit to the Cliff Lede Vineyards property, which is full of contemporary art and is juxtaposed with vineyard blocks named for classic rock songs, and it is clear that to him, wine—like music and art—is a source of great beauty. Lede grew up involved with his family’s successful construction business in Canada, and first discovered the splendor of the Napa Valley while on a business retreat in the 1990s. An avid long-distance runner, he explored the back roads of Napa Valley throughout his trip. The area resonated a great deal with him, as he had collected Bordeaux wines since his late 20s. Frequent return visits ensued, and he was soon exposed to everything Napa Valley has to offer: beautiful land, some of the world’s greatest restaurants and a core of friendly, passionate and hardworking people that reminded him of his own community. Lede soon began searching for a property in Napa where he could start a winery. Determined to plant his roots in the Stags Leap District for its complex and age-worthy wines, he remained patient and focused. Upon learning that a Stags Leap District estate was for sale, Cliff recognized the opportunity and, after months of negotiations, established Cliff Lede Vineyards. One year later, the southwest facing hillside just above the Silverado Trail became available. Following the acquisition of the rare hillside property, Cliff named it the Poetry Vineyard. In 2005, he opened Poetry Inn, one of Napa’s most secluded luxury boutique hotels, perched high above the valley floor overlooking the winery and vineyards. In 2009, he expanded to include cooler-climate varieties from the Anderson Valley as his love for creating things led to the purchase of the Savoy Vineyard and the creation of a new brand, FEL, named for his mother, Florence Elsie Lede. Raised in the Pacific Northwest, Ryan Hodgins attended Oberlin College in Ohio, where he often had conversations with his plant biology professor about winegrowing. Though he explored a few careers upon graduation, his interest in wine was piqued, and he soon relocated to California and enrolled in the master’s program at U.C. Davis and graduated with a degree in Viticulture & Enology. 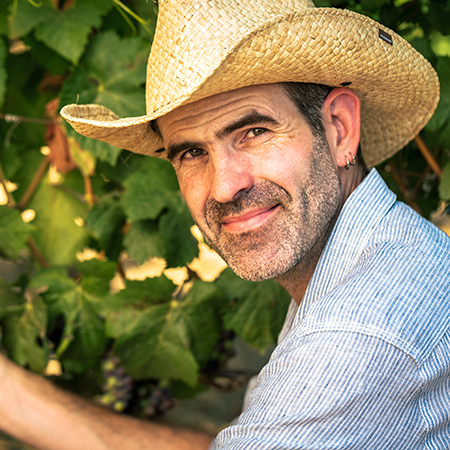 As a means of researching the topic for his thesis – Pinot Noir tannins in the Willamette Valley – Hodgins got his first hands-on vineyard experience while working harvest at Witness Tree Vineyard in Salem, Oregon. Upon graduation in 2004, he spent a year gaining experience in other regions at wineries such as Acacia Vineyard in Napa, where he served as harvest enologist, and Krishna Valley Winery in India, where he served as visiting winemaker. In 2005, Hodgins returned to the United States and accepted a full-time position as assistant winemaker and viticulturist at Hanzell Vineyards, a role that helped hone his expertise in Pinot Noir and Chardonnay from Sonoma. While at Hanzell, Hodgins also worked as the founding consulting winemaker for Breggo Cellars in the Anderson Valley. The Lede family’s acquisition of Breggo Cellars (now FEL) in 2009 allowed Hodgins to become full-time winemaker. In 2011 the Lede family purchased the Savoy Vineyard, a benchmark vineyard in the Anderson Valley, giving Hodgins access to his first estate vineyard. Upon receiving a degree in molecular and cellular biology, Remi Cohen realized that she preferred plant science and enrolled in the Viticulture and Enology program at U.C. Davis, where she received her Master’s Degree. Cohen subsequently completed her M.B.A. at Golden Gate University in San Francisco. Cohen has served as Vineyard Manager at Bouchaine Vineyards, Vice President of Operations at Merryvale Vineyards, as well as founding her own viticultural and winemaking consulting company called Vines to Wine. In 2012, Cohen went to work for Lede Family Wines and is now the Chief Operating Officer. Cohen is an advocate of sustainable farming practices and has hosted lectures on sustainability and winegrowing at venues including U.C. Berkeley, U.C. Davis, Commonwealth Club, Society of Wine Educators, and the American Society of Enology and Viticulture. In addition to writing a column for Vineyard & Winery Management, Cohen is on the board of the Napa Valley Grapegrowers and the Stags Leap District Winegrowers Association. She was former President of the Napa Valley Vineyard Technical Group, and is on the scientific review board of the American Vineyard Foundation. Cohen is also a California licensed Pest Control Adviser and a Court of Master Sommelier Certified Sommelier.